Due to incredibly high demand for Bisazza CEMENTILES, a reserved consignment of designer tiles, specifically selected and produced for Australia, will be available from June this year. The Special Australian assortment named “ATLANTIC COLLECTION“, will include carefully selected patterns from all of Bisazza’s collaborative designers, including the very latest contributions from the Campana Brothers and American architect and designer David Rockwell. Whilst every design in the CEMENTILES Collection will always be available, this special selection will be on hand for our discerning customers in Australia and New Zealand with a fast delivery time assured by Bisazza’s Sydney warehouse. Visit the CEMENTILES page at bisazza-australia.com.au and click ‘ATLANTIC COLLECTION‘ to see this exclusive portfolio. 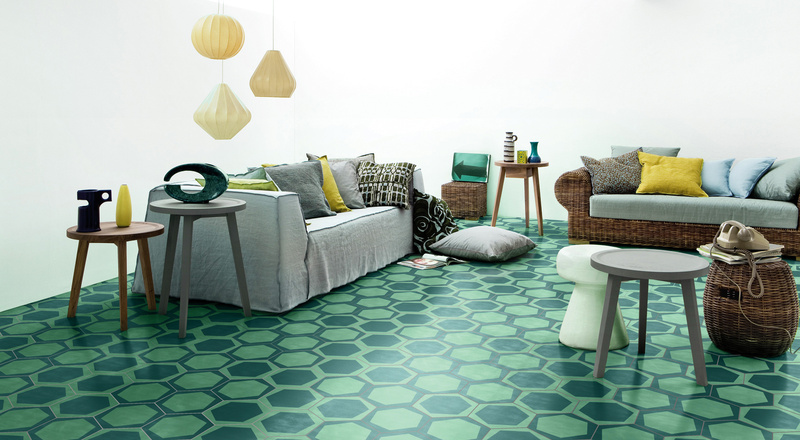 The CEMENTILES collection includes square (20×20 cm) and hexagonal (20×23 cm) shaped tiles. Each tile is 14 mm thick and made entirely by hand using high-strength cement which is blended with coloured oxides. The tiles, available in 29 colours and in a vast range of multi-coloured decorations, are suitable for internal floors and walls and commercial spaces with medium foot traffic.